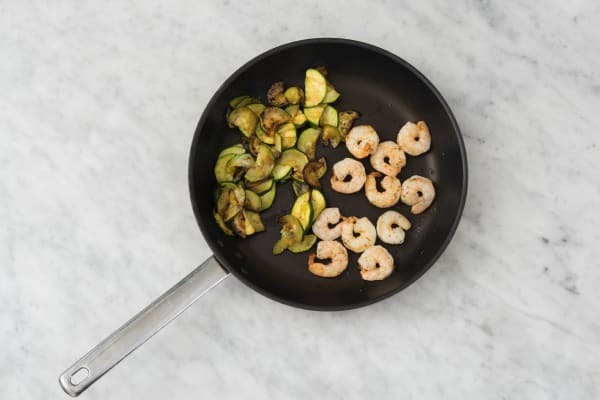 These are some fightin’ shrimp: in this dish, the shellfish are given a feisty kick by slices of chili. That’s sure to please heat-lovers, but you can always make adjustments if you prefer to walk on the mild side. 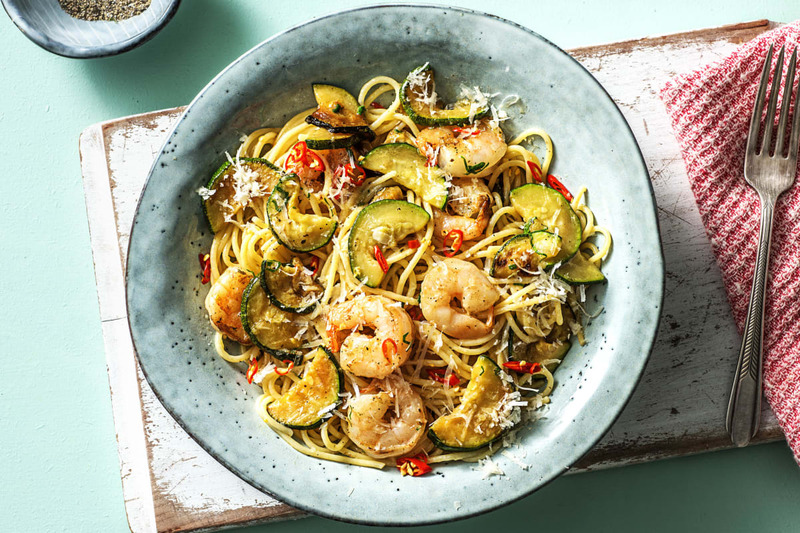 Toss in zucchini, garlic herb butter, Parmesan, and al dente pasta, and everything comes together in a savory, spicy, and piping-hot pile of perfection on your plate. Bring a large pot of salted water to a boil. Once boiling, add spaghetti and cook, stirring occasionally, until al dente, 10-12 minutes. Carefully scoop out and reserve ½ cup pasta cooking water, then drain. Meanwhile, wash and dry all produce. 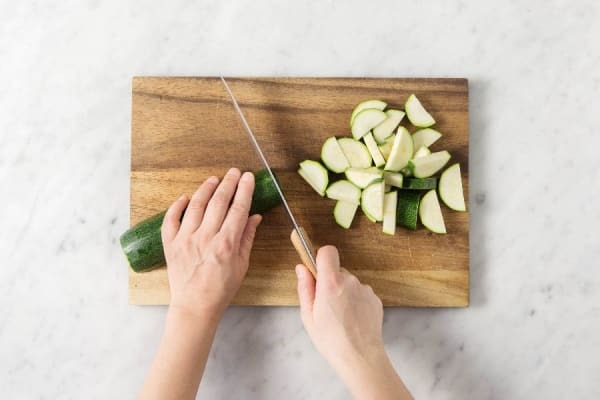 Halve zucchini lengthwise, then slice into ¼-inch-thick half-moons. Thinly slice half the chili (if you like it spicy, feel free to use all). Rinse shrimp, then pat dry with paper towels, removing as much moisture as you can. Heat a large drizzle of olive oil in a large pan over medium-high heat. Add zucchini and chili and cook, stirring occasionally, until zucchini is lightly browned, about 2 minutes. 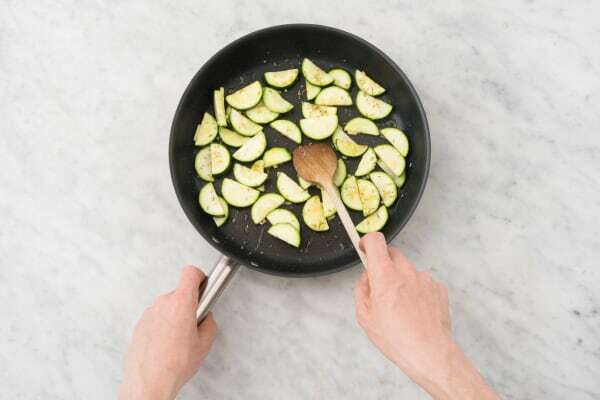 Push zucchini to one side of pan and add another large drizzle of olive oil to center. Add shrimp and cook, stirring occasionally, until pink and just cooked through, 3-4 minutes. 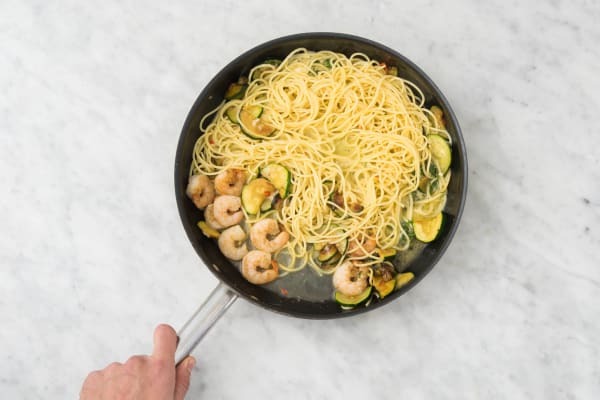 Add spaghetti, garlic herb butter, half the Parmesan, and ¼ cup pasta cooking water to pan. Season with plenty of salt and pepper. Toss until combined and coated in a loose sauce. 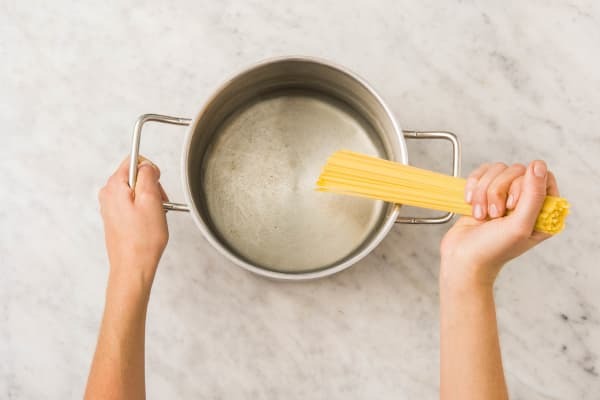 TIP: Add remaining ¼ cup pasta cooking water, as needed, if mixture seems dry. Divide pasta between bowls. 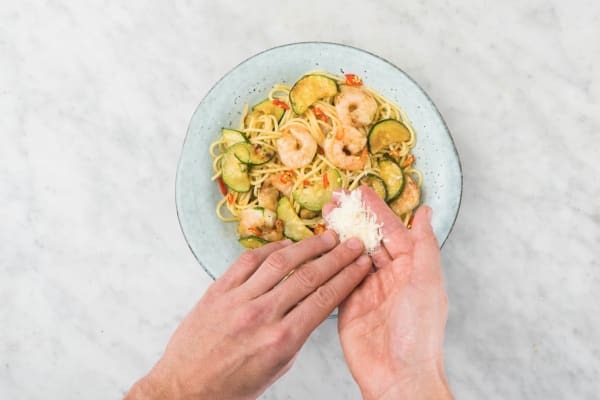 Sprinkle with remaining Parmesan and a drizzle of olive oil. TIP: Garnish with additional chili (to taste).